Selling handcrafted jewelry at arts and craft shows is exhausting work. Why not make the most of it? You'll spend days making your creations. On show days, you will load your car, travel to the venue, unload, unpack and set up; and that's just the beginning. You'll spend hours talking to people, and selling... hopefully. At the end of the day, whether or not you've made a single dollar, you must tear down, pack up and make the long drive home. Your craft show success will be limited until you shift your jewelry making into a higher creative zone. Go beyond simple starter projects. Take a class to learn a new technique. Read information on developing your style. Practice what you already know and push yourself to try new things. If you're already good, challenge yourself to do even better. Don't rush your creativity. If you usually make jewelry an hour at a time, try a 4 or 5 hour work session instead. Concentrated time working your craft will produce a creative spark. It will push your jewelry making style into high gear, and new ideas will come out of nowhere. 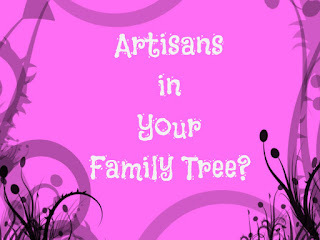 Your arts and craft show customers will notice the difference. 2- Find a New Thing During Your "Down Time"
Most Jewelry makers have an annual down time between Christmas and the first spring craft show. Sales at online sites like Etsy or Ebay will also hit a slump. 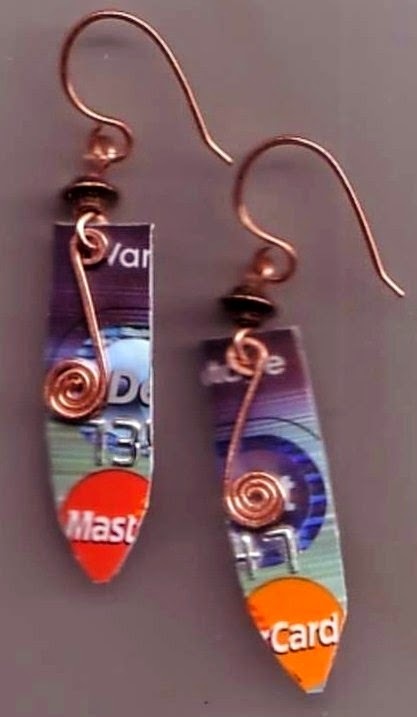 That down time is perfect for resting, but why not use it to enhance your handcrafted jewelry making style? Add a new thing to your jewelry line. If earrings are your big seller, try bracelets and anklets too. Experiment with ear cuffs or rings. Use only amethyst or turquoise in every piece you make for one show. Write poetry or wise sayings to adorn your jewelry cards. Try something, anything different from what you usually do. Showcase your bizarre or elegant or quirky new thing at your next event and yours will become the must see jewelry booth at the arts and craft show. Some people design a craft show display and keep it forever. Variety is far more interesting. Don't change your basic background color. Regular customers might not recognize your booth as they walk by. Make simple changes with colorful decorative touches. Try something new each year. Mix in gold fabric or trim. Add plush black velvet necklace boards or tie dyed table covers. Find an interesting print to drape overhead. Rescue an abandoned department store mannequin and give it a fabulous paint job. Dress yourself to coordinate with your new display. Your jazzy new look will get customers into your booth. Then they'll be overwhelmed by your new jewelry style. The combination can add up to a great day. Don't be the jewelry artist who sends arts and craft show customers home with a crumpled, reused plastic grocery bag. Give them the upscale treatment. Make your sale a big production. Pull out your pretty tissue paper with a grand flourish. Carefully wrap your customer's jewelry selections like the treasures they are. Smile and say thank you as you slip them into a pretty color coordinated bag. There's a cost involved, of course; but the money will come back to you when your craft show sales soar. If you pay the extra pennies for beautiful packaging, strangers carrying their craft show jewelry in crumpled plastic bags will be drawn to your customer's purchases. They may ask to peek inside their pretty bags. Then they'll come looking for you. By the way, being Green is fine, but go Green with pretty recycled packaging instead of crumpled grocery store cast offs. Your arts and craft show day will take a lot of work, but that doesn't mean you have to be a grumpy Gus. Smiling will help your day pass more quickly. Your smile will be the perfect welcome for your customers. You'll notice the difference when you're counting your money at the end of the day.